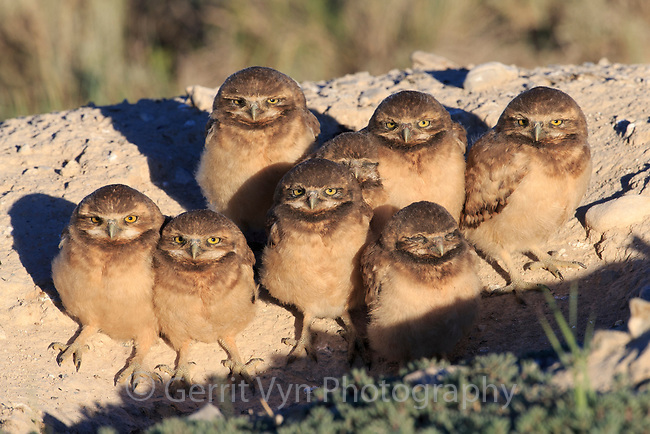 Burrowing Owl (Athene cunicularia) nestlings standing outside their nest burrow in sagebrush country. Idaho. July.